Honda of Watertown offers a wide inventory of used cars for sale near Waterbury as part of our entire Honda dealership inventory. Find a new car in Watertown that matches your driving needs and your monthly budget. Use our payment calculator to get an estimate of your used car monthly payment or calculate your trade-in value to put towards your used car purchase. Our Honda used car dealership has a rotating set of used car specials as well as an extensive inventory of Honda certified pre-owned cars and SUVs. Contact our Watertown dealership team to find the car financing offer that’s right for you and schedule a test drive in a used car today. Extra Clean. EPA 34 MPG Hwy/23 MPG City! Polished Metal Metallic exterior and Black interior, LX trim. CD Player, iPod/MP3 Input, Non-Smoker vehicle, Local owner.KEY FEATURES INCLUDEiPod/MP3 Input, CD Player. MP3 Player, Remote Trunk Release, Keyless Entry, Child Safety Locks, Steering Wheel Controls. Honda LX with Polished Metal Metallic exterior and Black interior features a 4 Cylinder Engine with 177 HP at 6500 RPM*. Non-Smoker vehicle, Local owner.EXPERTS REPORTWhen it comes to family sedans, few cars have the type of owner loyalty and fierce trust as the 2012 Honda Accord Sedan. -KBB.com. Great Gas Mileage: 34 MPG Hwy. AutoCheck One Owner Approx. Original Base Sticker Price: $22,300*.VISIT US TODAYAll preowned vehicles are covered by the Lorensen Advantage, including extended warranties and free services. For more information go to www.ACURAOFAVON.COM.OR EMAIL RON DASILVA AT RDASILVA@ACURAOFAVON.COM Each Certified Pre-Owned Acura must pass a 182-point inspection and be reconditioned to exacting factory standards. After certification, each vehicle is backed by an Acura Certified Pre-Owned Vehicle Limited Warranty.Pre-Owned Vehicle Warranty We give you a 6 month 6,000 mile warranty at no cost to you on any pre-owned Acura, Honda, Toyota, Scion, Chrysler, Dodge, Jeep, Ram or Hyundai that sells for over $15,000 before sales tax, registration fees or any operational Pricing analysis performed on 4/19/2019. Horsepower calculations based on trim engine configuration. Fuel economy calculations based on original manufacturer data for trim engine configuration. Please confirm the accuracy of the included equipment by calling us prior to purchase. ONLY 59,159 Miles! LX trim, Alabaster Silver Metallic exterior and Black interior. JUST REPRICED FROM $11,943, FUEL EFFICIENT 39 MPG Hwy/30 MPG City! Bluetooth, CD Player, Back-Up Camera, iPod/MP3 Input. CLICK NOW!KEY FEATURES INCLUDEBack-Up Camera, iPod/MP3 Input, Bluetooth, CD Player. MP3 Player, Remote Trunk Release, Keyless Entry, Steering Wheel Controls, Child Safety Locks. Honda LX with Alabaster Silver Metallic exterior and Black interior features a 4 Cylinder Engine with 143 HP at 6500 RPM*.EXPERTS RAVE. the rear-seat accommodations are excellent for this class. The rear bench is mounted high enough to provide proper thigh support for adults, and it boasts significantly more real-world legroom than key rivals like the Chevrolet Cruze and Ford Focus. -Edmunds.com. Great Gas Mileage: 39 MPG Hwy.A GREAT VALUEReduced from $11,943. Approx. Original Base Sticker Price: $19,200*.WHY BUY FROM USAll preowned vehicles are covered by the Lorensen Advantage, including extended warranties and free services. For more information go to www.lorensen.com/lorensen-advantage.Pricing analysis performed on 4/19/2019. Horsepower calculations based on trim engine configuration. Fuel economy calculations based on original manufacturer data for trim engine configuration. Please confirm the accuracy of the included equipment by calling us prior to purchase. LOW MILES - 16,269! FUEL EFFICIENT 39 MPG Hwy/30 MPG City!, $1,200 below NADA Retail! LX trim, Crimson Pearl exterior and Beige interior. Bluetooth, CD Player, Back-Up Camera, iPod/MP3 Input. CLICK ME!KEY FEATURES INCLUDEBack-Up Camera, iPod/MP3 Input, Bluetooth, CD Player. MP3 Player, Remote Trunk Release, Keyless Entry, Steering Wheel Controls, Child Safety Locks. Honda LX with Crimson Pearl exterior and Beige interior features a 4 Cylinder Engine with 143 HP at 6500 RPM*.EXPERTS REPORTEdmunds.com explains . the rear-seat accommodations are excellent for this class. The rear bench is mounted high enough to provide proper thigh support for adults, and it boasts significantly more real-world legroom than key rivals like the Chevrolet Cruze and Ford Focus.. Great Gas Mileage: 39 MPG Hwy.EXCELLENT VALUEAutoCheck One Owner This Civic is priced $1,200 below NADA Retail. Approx. Original Base Sticker Price: $19,300*.WHY BUY FROM USAll preowned vehicles are covered by the Lorensen Advantage, including extended warranties and free services. For more information go to www.lorensen.com/lorensen-advantage.Pricing analysis performed on 4/19/2019. Horsepower calculations based on trim engine configuration. Fuel economy calculations based on original manufacturer data for trim engine configuration. Please confirm the accuracy of the included equipment by calling us prior to purchase. Very Nice. JUST REPRICED FROM $15,500, FUEL EFFICIENT 27 MPG Hwy/18 MPG City! Heated Leather Seats, Sunroof, 3rd Row Seat, Satellite Radio, iPod/MP3 Input, Bluetooth, Premium Sound System, Power Liftgate, Alloy Wheels AND MORE!KEY FEATURES INCLUDELeather Seats, Sunroof, Power Liftgate, Rear Air, Heated Driver Seat, Back-Up Camera, Premium Sound System, Satellite Radio, iPod/MP3 Input, Bluetooth, Aluminum Wheels, Dual Zone A/C, Power Fourth Passenger Door, Heated Seats, Heated Leather Seats. Rear Spoiler, Third Row Seat, MP3 Player, Privacy Glass. Honda EX-L with Smoky Topaz Metallic exterior and Truffle interior features a V6 Cylinder Engine with 248 HP at 5700 RPM*. This vehicle has been upgraded with Leather and Heated seats.EXPERTS RAVEEdmunds.com explains The 2013 Honda Odyssey is a top pick for minivans thanks to its versatile interior, long list of features and engaging driving dynamics.. Great Gas Mileage: 27 MPG Hwy.A GREAT TIME TO BUYWas $15,500. Approx. Original Base Sticker Price: $35,200*.BUY FROM AN AWARD WINNING DEALERAll preowned vehicles are covered by the Lorensen Advantage, including extended warranties and free services. For more information go to www.lorensen.com/lorensen-advantage.Pricing analysis performed on 4/11/2019. Horsepower calculations based on trim engine configuration. Fuel economy calculations based on original manufacturer data for trim engine configuration. Please confirm the accuracy of the included equipment by calling us prior to purchase. Honda Certified, Excellent Condition, ONLY 32,856 Miles! Crystal Black Pearl exterior and Black interior, LX trim. JUST REPRICED FROM $14,900, FUEL EFFICIENT 41 MPG Hwy/33 MPG City! Bluetooth, CD Player, Back-Up Camera, iPod/MP3 Input. KEY FEATURES INCLUDE Back-Up Camera, iPod/MP3 Input, Bluetooth, CD Player. Rear Spoiler, MP3 Player, Keyless Entry, Child Safety Locks, Steering Wheel Controls. Honda LX with Crystal Black Pearl exterior and Black interior features a 4 Cylinder Engine with 130 HP at 6600 RPM*. EXPERTS RAVE Edmunds.com explains Unmatched small car versatility thanks to unique rear seat design; high fuel economy; spacious seating and cargo area; excellent visibility.. Great Gas Mileage: 41 MPG Hwy. A GREAT VALUE Was $14,900. BUY WITH CONFIDENCE AutoCheck One Owner Balance of original 7-year/100,000-Mile Powertrain Warranty, Additional 1-year/12,000-mile Non-Powertrain Warranty, Vehicle History Report, NO Deductible, 182-Point Inspection and Reconditioning, 24 Hour Roadside Assistance includes, towing, lock-out assistance, tire change and fuel delivery, SiriusXM free three-month trial period on eligible factory equipped vehicles WHO WE ARE All preowned vehicles are covered by the Lorensen Advantage, including extended warranties and free services. For more information go to www.lorensen.com/lorensen-advantage. Pricing analysis performed on 4/15/2019. Horsepower calculations based on trim engine configuration. Fuel economy calculations based on original manufacturer data for trim engine configuration. Please confirm the accuracy of the included equipment by calling us prior to purchase. LOW MILES - 65,194! EX-L trim. EPA 27 MPG Hwy/18 MPG City! Moonroof, Third Row Seat, Heated Leather Seats, Premium Sound System, Satellite Radio, iPod/MP3 Input, Power Liftgate, Aluminum Wheels, Back-Up Camera, Rear Air SEE MORE!KEY FEATURES INCLUDELeather Seats, Third Row Seat, Sunroof, Power Liftgate, Rear Air, Heated Driver Seat, Back-Up Camera, Premium Sound System, Satellite Radio, iPod/MP3 Input, Bluetooth, Aluminum Wheels, Dual Zone A/C, Power Fourth Passenger Door, Heated Leather Seats. Rear Spoiler, MP3 Player, Keyless Entry, Remote Trunk Release. Honda EX-L with Alabaster Silver Metallic exterior and Truffle interior features a V6 Cylinder Engine with 248 HP at 5700 RPM*.VEHICLE REVIEWSKBB.com's review says In the world of minivan cool, the Odyssey minivan ranks near the top of its class.. Great Gas Mileage: 27 MPG Hwy. Approx. Original Base Sticker Price: $35,000*.WHO WE AREAll preowned vehicles are covered by the Lorensen Advantage, including extended warranties and free services. For more information go to www.lorensen.com/lorensen-advantage.Pricing analysis performed on 4/19/2019. Horsepower calculations based on trim engine configuration. Fuel economy calculations based on original manufacturer data for trim engine configuration. Please confirm the accuracy of the included equipment by calling us prior to purchase. Excellent Condition, Honda Certified, ONLY 17,405 Miles! WAS $18,900, $1,800 below Kelley Blue Book!, EPA 40 MPG Hwy/31 MPG City! LX trim. iPod/MP3 Input, Bluetooth, Back-Up Camera, Clean CARFAX report! KEY FEATURES INCLUDE Back-Up Camera, iPod/MP3 Input, Bluetooth. MP3 Player, Keyless Entry, Child Safety Locks, Steering Wheel Controls, Electronic Stability Control. Honda LX with Modern Steel Metallic exterior and Black interior features a 4 Cylinder Engine with 158 HP at 6500 RPM*. Clean CARFAX report! EXPERTS ARE SAYING All around, the Civic's driving performance is top-notch, with strong brakes and accurate steering. -Edmunds.com. Great Gas Mileage: 40 MPG Hwy. AFFORDABLE TO OWN Reduced from $18,900. This Civic Sedan is priced $1,800 below Kelley Blue Book. PURCHASE WITH CONFIDENCE AutoCheck One Owner Balance of original 7-year/100,000-Mile Powertrain Warranty, Additional 1-year/12,000-mile Non-Powertrain Warranty, Vehicle History Report, NO Deductible, 182-Point Inspection and Reconditioning, 24 Hour Roadside Assistance includes, towing, lock-out assistance, tire change and fuel delivery, SiriusXM free three-month trial period on eligible factory equipped vehicles MORE ABOUT US All preowned vehicles are covered by the Lorensen Advantage, including extended warranties and free services. For more information go to www.lorensen.com/lorensen-advantage. Pricing analysis performed on 4/15/2019. Horsepower calculations based on trim engine configuration. Fuel economy calculations based on original manufacturer data for trim engine configuration. Please confirm the accuracy of the included equipment by calling us prior to purchase. Excellent Condition, ONLY 70,775 Miles! $1,700 below Kelley Blue Book!, EPA 24 MPG Hwy/17 MPG City! EX-L trim. Sunroof, 3rd Row Seat, Heated Leather Seats, Rear Air, Back-Up Camera, Power Liftgate, Trailer Hitch, Alloy Wheels, 4x4 THE AFFORDABLE WAY TO OWN THE Honda PILOT Dependability is one of the many reasons why this is an exceptional value. This Pilot is priced $1,700 below Kelley Blue Book. Approx. Original Base Sticker Price: $36,300*. KEY FEATURES ON THIS PILOT INCLUDE Leather Seats, Third Row Seat, Sunroof, 4x4, Power Liftgate, Rear Air, Heated Driver Seat, Back-Up Camera, Premium Sound System, Satellite Radio, iPod/MP3 Input, Bluetooth, Trailer Hitch, Aluminum Wheels, Dual Zone A/C MP3 Player, Keyless Entry, Privacy Glass, Remote Trunk Release, Steering Wheel Controls. Honda EX-L with Taffeta White exterior and Gray interior features a V6 Cylinder Engine with 250 HP at 5700 RPM*. THE Honda PILOT IS A PERENNIAL DRIVER AND EXPERT FAVORITE The Pilot is among our favorite three-row family haulers. It does everything well, with a spacious interior and a solid chassis that feels like it's crafted from I-beams. -- Car and Driver. Great Gas Mileage: 24 MPG Hwy. OUR OFFERINGS All preowned vehicles are covered by the Lorensen Advantage, including extended warranties and free services. For more information go to www.lorensen.com/lorensen-advantage. Pricing analysis performed on 4/15/2019. Horsepower calculations based on trim engine configuration. Fuel economy calculations based on original manufacturer data for trim engine configuration. Please confirm the accuracy of the included equipment by calling us prior to purchase. Honda Certified, Superb Condition, ONLY 36,823 Miles! PRICED TO MOVE $400 below Kelley Blue Book!, FUEL EFFICIENT 37 MPG Hwy/27 MPG City! Sunroof, Remote Engine Start, Onboard Communications System, Smart Device Integration, Dual Zone A/C KEY FEATURES INCLUDE Sunroof, Back-Up Camera, Satellite Radio, iPod/MP3 Input, CD Player, Onboard Communications System, Aluminum Wheels, Remote Engine Start, Dual Zone A/C, Smart Device Integration. MP3 Player, Remote Trunk Release, Keyless Entry, Steering Wheel Controls, Child Safety Locks. Honda EX with Obsidian Blue Pearl exterior and Gray interior features a 4 Cylinder Engine with 185 HP at 6400 RPM*. Clean CARFAX report! EXPERTS RAVE Edmunds.com's review says The Accord continues to impress with its responsive handling, composed ride, abundance of interior room, comprehensive feature set, fuel-efficient yet powerful engines and high crash test scores.. Great Gas Mileage: 37 MPG Hwy. A GREAT VALUE This Accord Sedan is priced $400 below Kelley Blue Book. Approx. Original Base Sticker Price: $26,400*. BUY WITH CONFIDENCE AutoCheck One Owner Balance of original 7-year/100,000-Mile Powertrain Warranty, Additional 1-year/12,000-mile Non-Powertrain Warranty, Vehicle History Report, NO Deductible, 182-Point Inspection and Reconditioning, 24 Hour Roadside Assistance includes, towing, lock-out assistance, tire change and fuel delivery, SiriusXM free three-month trial period on eligible factory equipped vehicles VISIT US TODAY All preowned vehicles are covered by the Lorensen Advantage, including extended warranties and free services. For more information go to www.lorensen.com/lorensen-advantage. Pricing analysis performed on 4/8/2019. Horsepower calculations based on trim engine configuration. Fuel economy calculations based on original manufacturer data for trim engine configuration. Please confirm the accuracy of the included equipment by calling us prior to purchase. Find the used car for you while the inventory lasts. 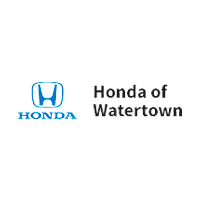 Contact our Watertown Honda dealership to lock in your Honda offer on a used car at Honda of Watertown.